Skilled Care Pharmacy makes continuing education easy, convenient and affordable. Skilled Care Pharmacy offers a full menu of training and continuing education opportunities for our customers' professional and business staff. Many of our offerings can be scheduled into your workday, at your own facility. Skilled Care Pharmacy offers on-site, in-service education opportunities, including any policy and procedures, forms, assessments and quality assurance tools pertinent to the topic. The nurse aide position is a critical part of your care continuum, but it is a notoriously difficult position to fill and retain. Our Promoting Retention with Educational Programming (PREP) can help you better prepare your nurse aides for their positions and give them a greater sense of empowerment and satisfaction. Skilled Care's Self-Medication Awareness and Responsibility Through Training (SMARTT) program is a series designed to help residents use their medications safely, wisely and responsibly. The program is custom-designed for residents, nurse aides and licensed nurses, and empowers each group with the knowledge and skills they need to create and maintain safer medication practices. In order to maintain a consistent quality of care, state and federal board of health officials conduct regular surveys of long-term care facilities. Skilled Care Pharmacy can help ensure you remain deficiency free by conducting thorough and realistic mock surveys in advance of an official surveyor visit. These multistage surveys help facilities objectively and thoroughly scrutinize all care areas, and then provide comprehensive solutions to deficient care areas. Surveys are administered through a partnership with ReadyQ, which offers the web-based program. 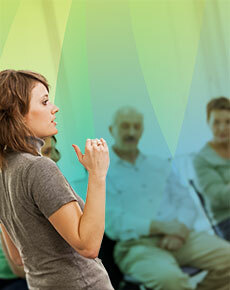 Skilled Care also offers a wide variety of professional development and general training courses. Topics range from delegation and creating a respectful workplace, to fire safety and infection control. For more information or to schedule a program, call us at 800-334-1624 or email us.